ANN ARBOR—With a $10 million gift from University of Michigan alumni Ron and Eileen Weiser, U-M will establish a new diplomacy center to serve as a hub for engagement with the foreign policy community. The gift will support professors of practice in international diplomacy as well as shorter-term opportunities for diplomats in residence from around the world. It will also help students apply knowledge in practical settings through workshops, simulations, conferences and internship opportunities in the U.S. and abroad. The goal is to strengthen U-M’s role as a national leader in international policy education. 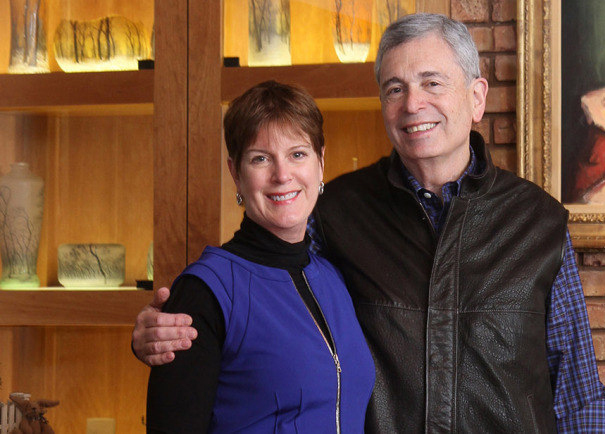 Ron and Eileen Weiser are longstanding U-M alumni, volunteers and donors, committing more than $89 million to the university to date. In addition to Ron Weiser’s service on the U-M Board of Regents, they both serve as vice chairs of the Victors for Michigan campaign and support a wide range of programs across all three campuses of the university, including the Weiser Center for Emerging Democracies, Weiser Center for Europe and Eurasia, Michigan Medicine’s Mary H. Weiser Food Allergy Center and the Chad Carr Pediatric Brain Tumor Cancer Center. The College of Literature, Science, and the Arts; Michigan Medicine; School of Music, Theatre & Dance; UM-Dearborn, and dozens of other units have been beneficiaries of the Weisers’ generosity. Ron Weiser, a graduate of the U-M Ross School of Business, is the founder of McKinley Inc., a national real estate investment company based in Ann Arbor. Eileen Weiser, an alumnus of the School of Music, Theatre & Dance, is a past executive director of the McKinley Foundation and served eight years on the National Assessment Governing Board. She has served on the University Musical Society Board of Directors and is a member of the UMS Senate. She is in her second, eight-year term on Michigan’s State Board of Education, and currently chairs the White House Commission on Presidential Scholars. She has also served on numerous civic boards. The Weisers, their children—Marc and his wife, Mary; Elizabeth and her husband, Trey Caswell; their youngest son, Danny—and their five grandchildren, all live in Ann Arbor.